The fine-tuning argument is an argument from design or purpose (aka teleological) just like biological irreducible complexity is. If I was rating arguments for God in previous years I would have initially put this argument at the top of the list, but after doing some more research it has fallen way low on the list and has even fallen below irreducible complexity (which is already low due to the fact that consensus among experts in the relevant fields of study is that irreducible complexity has no basis scientifically.) It turns out the fine-tuning argument suffers from way more than just the possibility of the multiverse, and I was surprised to find out that some of the most coherent arguments against it are explained by evangelical Christians, and most skeptics are not even aware of those arguments. First the facts: there are several constants in the equations of physics that if modified by very small amounts would cause a universe that would be dramatically different from our own. The claim is that those universes would not be life permitting, but there are some who contend that this second claim is not actually a proven fact. 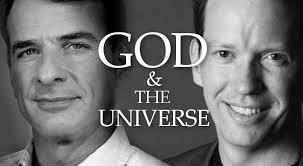 If you want the details for the positive claims you can hear them very clearly in practically any debate on God with William Lane Craig in it. Do We Know The Probabilities? In layman’s terms, the issue is that even though the constants might sit within a tight range we have no way of figuring out what the probability distribution of those constants are because we don’t have empirical access to universe generators. As a result we have no way of finding out what the probability is of the constants being in that tight range. For all we know the probability that they sit in the range they do could be high. Without access to universe generators we cannot know. The discussion with Dembski goes longer and he explains himself more – you can see it here. – Page 203: If we assume a uniform probability distribution, since the range of values for the constants are infinite, no matter how we break them up into pieces the sum will always be infinite. However, for probabilities to make sense the sum of all possible alternatives must add to 1 (i.e. 100%). This is called the “normalizability” problem, and it means we have no way of assigning probabilities to the range of the constants. – Page 205, paragraph 2: The above assumes a uniform distribution, so to get around it we can assign a different kind of probability distribution. But what distribution do we pick? This is exactly the problem that Dembski described. There is currently no valid way to know what to pick. – Page 206, paragraph 1: Here they allude to important questions related to fine tuning that I have always wondered about. How do we know that there cannot be other constants or forces in possible universes? Put another way, we are so fixated on varying the constants that are in the equations we’ve found, but what about varying the equations themselves? What is the evidence that causes us to think that the constants can be changed while the equations cannot? It seems like the only reason for this very well may be psychological – the constants seem to be the easiest thing for our brains to ponder varying. In summary, given this infinite possibility of varying equations, “we may not be in any position to speak of the life-friendliness of universes”. – Page 207: They essentially say what Dembski said. – The conditions under which life can exist, and what life is, have not been clearly defined enough to prove the fine-tuning argument. While our human form of life may not be common after varying parameters, some kind of conscious minds could exist in many other different universes. While he may very well have a point I believe he is currently in the minority on this point, perhaps because varying some of the parameters often results in very short-lived universes not allowing for complex beings to arise. I’m not sure about this one, but I think it’s at least valid to question how thoroughly this has been defined. – The next objection is a bit more philosophical in nature and while I find it a bit confusing to think through it may very well be a valid objection. Carroll says: “in theism life is not purely physical, it’s not purely a collection of atoms doing things like it is in naturalism. I would think that no matter what the atoms were doing God could still create life. God doesn’t care what the mass of the electron is, He can do what he wants.” (please don’t say something silly like “I thought Sean didn’t believe in God, but now he is talking about Him”). This is an interesting conundrum for the fine tuning argument itself. Theism posits a certain view of God, but then the argument doesn’t seem consistent with that view. Sean’s final statement here may also shed some light on this: “the only framework in which you can honestly say that the physical parameters of the universe must take on certain values in order for life to exist is naturalism.” I’d like to add here that Lydia McGrew also mentions this as an issue in her interview with Luke Muelhauser (above), and apologist Hans Halvorson (see link below) concedes it as well in his debate with Carroll. – The third objection is more technical and I believe is a valid one: the “apparent” fine-tuning of some constants actually disappear on closer inspection. The example Carroll gives is the common example of the early expansion rate of the universe. Claimed to be fine-tuned to 1 part in 1060. But after doing a correct, rigorous derivation of the probability using the equations of general relativity you find that the probability is 1. You can read further on this example here. Craig used to use this example in his debates and took Hawking’s statements out of context. To be fair he has corrected himself and no longer does that. It’s important to keep in mind the following statement from Carroll to get some balance to this objection: “I can’t say that all parameters fit into that paradigm, but until we know the answer we can’t claim that they’re definitely fine-tuned.” The debate over this objection that I’ve seen usually lies in questioning that last sentence of Carroll’s – the claim is that many cosmologists have thrown their hands up at this point and given up on getting answers that explain the apparent fine-tuning of many of the constants. A lot of cosmologists do seem to indicate this but I’ve seen some interviewed who have not given up. Either way though one could argue that this is still a God of the gaps argument because as we’ve seen many times in the past, not having answers to tough problems does not mean they are unsolvable with naturalistic explanations. 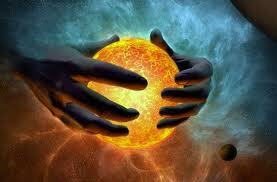 – 4th is the most common explanation among naturalists – the multiverse. I think this is a perfectly valid objection to fine-tuning and none of the responses to it have moved me. The idea is that there are many universes out there with many different constants and we just happen to be living in one of them. The perfect analogy is that we used to think the conditions of our planet were finely tuned for life to exist, but once we became aware that there are tons of planets in the universe this conundrum was gone. This is known as an “observer selection effect”. Craig’s response is that universes with boltzmann brains are more likely than universes with embodied living beings, so he claims that means the observer selection effect is nullified. But it is still agreed that with a multiverse there could be universes that have embodied living beings, and so the selection effect is still valid – we happen to be in one of those universes. Just because there are lots of other universes with other types of observers doesn’t nullify that. Also, Craig seems to misrepresent the hypothesis by saying “in order to rescue the alternative of chance it’s proponents have therefore been forced to adopt the hypothesis that there exists a … multiverse” (40:47), and then “now comes the key move” – as if it’s some sort of tactic. My understanding is that the multiverse is actually a prediction of physical theories (mainly inflation). And as I’ve seen written by some cosmologists, this is “indirect” evidence for the multiverse. The hypothesis is not created as a “rescue” for an objection to fine-tuning. And frankly even if it was I don’t see why that would really be an issue anyway. This could be a valid hypothesis on it’s own. Where is the need to add ideas of supernatural when cosmologists have never had any confirmed empirical evidence for that? Carroll responds to other objections to the multiverse here. – His last objection is that even if we grant that the constants are fine-tuned theism is a poor explanation. I’ve gone way too long, so you can watch at (59:38). – Hans Halvorson (Christian apologist) explains why he agrees with Carroll that the fine-tuning argument is not convincing – at time 28:41 in their debate. It’s worth a listen. – While inconclusive, Don Page (an evangelical Christian) has a paper explaining that different values of the cosmological constant would have produced universes which were way more life permitting than the one we are in. It is at least another hint at the fact that the constants may not be tuned for life. – Keith Parsons describes a good philosophical point that comes up a lot. It is the same objection that I have to the Cosmological Argument (mentioned here) and I haven’t figured out a good reason why the objection does not make sense. – This is a link to a long list of objections to fine-tuning which is worth looking over. It is important to note that the strength of these objections span the map and several of them are very poor. Luke Barnes (agnostic who who seems to lean toward theism) is one of the better expositors for fine-tuning. You can also listen to an interview he had with Luke Muehlhauser here. Robbin Collins is another educated proponent for fine-tuning. His form of the argument is more polished than William Lane Craig’s but it’s also a weaker form of the argument. I give more links in support as well as criticism of the argument on my companion page. Given all of the issues, some of the strongest of which are even brought forth by theists, the fine-tuning argument does not look to me like a very convincing argument. And it surely cannot be claimed that those skeptical of it are doing so only because they don’t want to believe in God. While I would never say that everyone should give up trying to find out if this argument can really fly (certainly further research and study could possibly resolve objections), it seems to me that this one is a bit of a dead-end. On my companion page to fine-tuning I give references both for and against the argument so people can research further to try to form their own conclusions. This entry was posted in Arguments For God, Atheist, Christianity, Debates, Fine-Tuning, Science and tagged agnosticism, apologetics, arguments for god, atheism, christianity, debates, fine-tuning, god, religion, science, theism by Howie. Bookmark the permalink. I’d like to get together sometime soon and have a drink and maybe dinner. I’d like to know what drive you these days. I loved your work here. Thanks Geno, and looking forward to hanging out. I’ll e-mail you and set up a time and place. Most of the universe is inhospitable to human life. We are left with the question: Was the universe fine tuned so that there would be a small corner where humans could exist? Or did life evolve itself so as to be fine tuned to the corner of the universe where it found itself. I think it a foolish question. This is an awesome post, Howie. It says much about an argument when strong rebuttals are made by the group that has a stake in the argument’s success. Also, I didn’t get to watch Carroll in this recent debate with Craig, but when you say that he basically calls out Craig for the inconsistency between dualism and the fine-tuning argument, I thought this was an especially insightful point. That is a good question and it’s a very common one that I see – Richard Carrier and others have said it this way: the universe is way more fine tuned for black holes than it is for life. My link to Don Page’s article is also along the same lines. I didn’t make this a focal point of my post though and let me explain. If we assume that we can actually definitively calculate the probability density function of the constants as well as definitively affirm that no other constants (i.e different equations) were possible in other universes (both perhaps big assumptions) and it turned out that there was an extremely low probability for life to exist then I think it’s a valid question to ask why. A god may not be a valid answer but I’d think it would cry out for explanation. But I do agree that it does seem odd that the universe seems so barren, and it’s definitely a count against the argument that there may well be other values to the constants that would create a universe teeming with life (as Don Page suggests). This also bring up a related objection – and that is “life chauvinism” – there could very possibly be a lot of things that are particularly unique to this universe other than life which fit in a “tight range” of the constants, so why not wonder why the universe is fine tuned for those things as well. Perhaps we humans have a very high view of ourselves which drives us to think there needs to be an overarching reason for us being here. You threw me for a minute there with using the word dualism, but that’s right – you got the point. It was actually a point that confused me in the debate and I actually had to listen to Sean several times for it to sink in. You caught on right away. Whoa! Too heavy for me. Heavy stuff for sure Nan. Some of those articles contained way too many equations for my liking! Hi Howie, I think there is confusion here between the scientific facts about fine-tuning and the philosophical argument based on those facts. Luke Barnes, who you reference, scrupulously avoids any comment on the philosophical/God question, but has discussed the science on many occasions. For example he has published a peer-reviewed paper where he presents the evidence and the eminent cosmologists who support his conclusions. I have read Penrose, Susskind, Davies and Rees on the topic and they all definitely agree with Barnes. From memory, I think Barnes says he has a reference list of about 200 scientific papers that support the reality of fine-tuning. So I wonder if you have correctly interpreted Carroll, or whether he wasn’t disputing the scientific facts, but rather the conclusions Craig was drawing from them. Whatever, Carroll may or may not be the odd man out, but the conclusion of all the others that Barnes quotes is that of all the possible universes allowed by theoretical physics, the number that could support complex life is very, very small. That seems to be the science, and Barnes, Rees, Davies and Susskind (to name four that I have read) believe fine-tuning is difficult to explain. Whether the God explanation is the best one is arguable, and most of the cosmologists (e.g. the four I just quoted) are agnostic on this, but I think you have seriously understated it here. A fish finds itself in a pond, thinks the pond is fine tuned for it. Having no way of getting out of the pond it inhabits, thinks its place is special. And that is our situation. W can speculate but until we can get out of present universe, the idea that ours is fine tuned for life is an issue of ego, and a big ego at that similar to me to those who think they will survive their death. What you say here is a misunderstanding of the science of fine-tuning. 1. Scientists have long considered the anthropic principle, which is a fancy name for your fish example, and rejected it as an explanation of the scientific evidence. For instance, Luke Barnes says: “[the Anthropic Principle] cannot explain why life and its necessary conditions exist at all.” The reality is that if there were only minor variation in many different constants, life wouldn’t be possible, so the of all the possible universes allowed by theoretical physics, the number that could support complex life is very, very small. And there is no explanation for this at present, although cosmologists are very active in investigating it. 2. It has nothing to do with ego, it simply has to do with scientific facts. 3. It isn’t speculation either. It is very well established in the science. I suggest you have a look at Luke Barnes’ paper. Don’t try to read the mathematics and the physics, just check out the beginning and end of the paper and each section where he introduces and sums up, and you’ll see for yourself. Too many god- bothers enjoy quote-mining science just enough to find a space to insert their bloody stupid Godddidit argument. Given the opportunity, I’ll bet Stephen Hawking would run all these ridiculous apologists over as if they were just so many remedial speed bumps in the road, or simply treat them with the utter contempt they deserve. Hi UnkleE: Your comment brings some good balance to my post, and I did try hard on both my post as well as my reference page to detail where Carroll is in the minority. He is definitely in the minority on bullet 1 on this post, and likely bullet 3 as well, but does not seem to be on the others. And you make a good point about the disagreement with Craig on the conclusions rather than the science, but Carroll while being the odd man out (as well as Weinberg who I reference, and other scientists who I reference on my ref page) questions the science as well. Your comment brings very good balance for another very important reason – I am a layperson to this topic which is why I gave many references on my companion page for people to investigate further. Barnes has many other links to cosmologists who agree with him if people want to dig further into that. Carroll doesn’t really bring up the probability density function issue here, but Barnes actually does reference it in his critique of Fred Adams. It is a valid question, and even Barnes notes that Adams, although an astrophysicist, sets the range for his constants but doesn’t even note why he puts the range at what he does. How many cosmologists are doing a similar thing on the other side – i.e. assuming some range of constants without empirical evidence for why that range is set and thus proving fine-tuning? And how many cosmologists are giving empirical evidence for the probability distribution function that they assume in their analysis? In fact my understanding is that in most cases the ranges might very well be coming from string theory, but that could be a catch-22, because string theory (as many theists will correctly tell you) does not have empirical evidence backing it and one thing underlying the theory is that the multiverse exists. And that the multiverse exists is also the majority opinion of cosmologists and also that the selection effect is likely the better answer to this whole question (Carroll’s point # 4). So as far as misinterpreting Carroll goes I don’t believe this is the case because I noted what his stance was almost word for word. Carroll makes a statement here which may relate to this: (time 1:21:47) “it is true, Dr. Craig brings up the point that people disagree with me. It is true. I attempted to give you an argument not merely an opinion poll. If we’re allowed to take opinion polls I will poll my fellow cosmologists on whether God had anything to do with creating the universe and I will win by a landslide. But I suspect that Dr. Craig thinks the majority of opinion of cosmologists is important for some issues but not for others.” So Carroll himself will concede he is in the minority on some of the points he makes. What is relevant here, is the agenda you bring to every such discussion that in any way challenges your theist point of view; and you are clearly looking to draw a conclusion that includes the ridiculous and unsubstantiated goddidit argument, and not just any old god either, because Thor doesn’t feature in your cosmological meanderings. Furthermore no self-respecting scientist or cosmologist would ever infer such a thing and unfortunately, this point must be driven home time and again in case there are visitors who may be confused by your apparent “sciencey” approach to such discussions. You do not look to the scientists for a scientific explanation if this excludes the philosophical aspect of your god- belief. One reason you have never ( that I am aware of) quoted de Grasse -Tyson. Hi Howie, that is a fair response. Thanks. I am happy to accept that you have represented Carroll fairly (I’m glad I only said I wondered ….!!) but he is in the minority. I am a layperson on this as well, of course – I have just read a few books and a few papers, and a lot of blog posts. Note that if the multiverse turns out to be true, it only moves the question back to how come the multiverse is so finely tuned that it randomly generates zillions of universes all with different parameters? The design argument remains the same, only we have far less information either way. The design argument remains the same, only we have far less information either way. No, what it means is there are simply a few more scientific avenues to explore and your nonsensical god remains firmly in the land of make believe. Do you realise just how silly you look continually trying to demonstrate to non-believers who have all been where you are with the daft approach to science you keep punting? if they yell Excuse me! loud enough and keep waving a copy of A Brief History of Time. Howie, this is an awesome collection of information. I salute you and the effort. It’s a keeper. @unkleE: No problem UnkleE, and I’m glad you came by and commented – hadn’t seen you in a while and I was hoping someone would offer objections to any possible confirmation biases I may have (and I’ve got lots of those if you want any 😉 ). Yup, I’ve heard that response to multiverse several times and all the other objections would apply to string theory as well. In fact if we don’t have empirical evidence for the probability of our current physics equations then we for sure don’t have it for string theory equations – which really just agrees with what you said about having far less information. Another thing hiding in there is another case of infinite regress, but you and I’ve been through those kind of discussions before and they are usually “infinitely” unproductive. 😉 The Keith Parsons link in my post relates to that. @John – hey I really appreciate your comment John – thank you very much. This one took me several months (with a few breaks) of work, so I’m glad someone found use in it. @ratamacue0: If there is a way I’ve never found out. I see lots of people just leave a short comment (sometimes as direct in their intentions as yours) if they want to subscribe. There is a way to subscribe in wordpress to an entire blog’s comments but I wouldn’t recommend it. 🙂 By the way, I am curious what your thoughts were on this post if you have any at this point. None of us are experts here so please feel free to if you want to offer opinion. You better believe it! I have this now in my Favourites, copy n’ pasted into my “special” folder, and the links all under my ID header. The reality is that if there were only minor variation in many different constants, life wouldn’t be possible, so the of all the possible universes allowed by theoretical physics, the number that could support complex life is very, very small. And there is no explanation for this at present, although cosmologists are very active in investigating it. You have the evidence for this? Or your Barnes has it? You are assuming too much here. Life has evolved in this universe. What reasons have you for thinking that it wouldn’t be possible for some type of life, maybe not carbon based to exist? What scientific fact do you have that a person survives their death? I am interested in these, really interested. Where is it well established that the universe is fine tuned? Where is the science? And UnkleE while you are at it, just think for yourself sometimes. It is good and reasonable to walk on the shoulder of giants but better still to apply yourself to thinking every once in a while. No I don’t have evidence for this – I am not a cosmologist! – but the cosmologists have the evidence! All we have to do is read them. Read the references I gave, read Barnes and follow through the references he gave. Check out the 25 cosmologists he names as concluding that fine-tuning is scientifically true (although they give different explanations for it) – Barrow, Carr, Carter, Davies, Dawkins, Deutsch, Ellis, Greene, Guth, Harrison, Hawking, Linde, Page, Penrose, Polkinghorne, Rees, Sandage, Smolin, Susskind, Tegmark, Tipler, Vilenkin, Weinberg, Wheeler, Wilczek. He is not “my” Barnes, though he is a fellow Aussie from Sydney, he is just a convenient web source of succinct information. But I have been interested in astronomy and cosmology since I was a teenager, and before I had ever read Luke’s blog I had read books by Davies, Susskind and Rees, and read some of the writings of Penrose, Barrow, Carter, Polkinghorne and Smolin. They all say much the same thing. I really think you should do some reading, for I don’t suppose you’ll trust anything I write anyway. But we’re not just talking about different habitat, but whether there would be any habitat at all. If some of the constants were just a little different, there wouldn’t be any universe at all by now, or it would just be ‘extremely thin soup’, or it would be all Hydrogen, which make it impossible for complex life to exist. Luke Barnes after 60 pages summarising the science in The Fine-Tuning of the Universe for Intelligent Life. “…. just how probable is it that a universe created by randomly choosing the parameters will contain stars. Given what we have already said, it is simple to estimate this probability. ….. The answer, in round numbers, comes to about one chance in 10^229.” Lee Smolin in ‘Life of the Cosmos’ – this is much much less than the probability of picking a given baryon out of the universe at random, and he is dealing just with star formation, not life. “”To make the first 119 decimal places of the vacuum energy zero is most certainly no accident.” Leonard Susskind in ‘The Cosmic Landscape’, which is a whole book discussing the science. Again, it is really best that you do your own reading. For the record, here are the nine cases of fine tuning Barnes discusses in great physical and mathematical detail: The Laws of Nature, The Wedge, Entropy, Inflation, The Amplitude of Primordial Fluctuations Q, Cosmological Constant Λ, Stars, Forces and Masses , Dimensionality of Spacetime – and there are several different examples within many of them. I think this is a very interesting comment. Do you think we can make up our own facts, or do you think we should get the best information available? If you were having headaches for a month, would you self diagnose, ask the carpenter who lives next door, or go to the doctor? I presume the answer is obvious. So when we want to know about cosmology, it isn’t reasonable to self diagnose, but rather we should go the the doctors – the expert cosmologists. Would you not agree? And when we read the experts, it isn’t reasonable to cherry pick the occasional expert who disagrees with the rest (like a six day creationist might) but read widely and get the consensus. Again, would you not agree? Then when we have the best information, we are each free to draw whatever conclusions we each think are reasonable from the evidence. Again, would you not agree? That is the process I follow. Here, we are talking about the science. After we have established the science, then we can discuss opinions. But I fear too many people allow their opinions to determine what science they accept. I would like us to start from somewhere. The fine tuning argument is one of those arguments that have been advanced in support of a god, in this case you are arguing for your tribal god. Are we agreed on this? If yes, do cosmologists you claim have evidence that this thing you call god exist and that it wanted the universe in a particular way? I am no cosmologist but I know life has evolved in this universe over time. To claim that a universe of different constants can’t exist is to put a limit on nature, which is omnipresent and omnipotent. I didn’t know Dawkins was a cosmologist! You are right on this point, I hardly can take you seriously. Did you read the post by Howie. One of the questions he poses is what if we changed the equations, not just the constants. We have no universe generators to compare with. We know enough to believe our universe began with inflation what happened Planck seconds before that is not known to anyone. Maybe your gardener was a doctor and lost his job and could advice you on what to do with your teeth, who knows? I am not for a moment stopping you from reading, actually that is not what my comment was supposed to mean. You say you read widely on cosmology, take time and compare all that you have read and come to a conclusion. Use your own judgement. I have this simple question which I asked at the beginning of this comment, who do you suppose fine tuned the universe? Hi makagutu, yes, we need to define where we are starting. But this isn’t it. The starting point has to be the science. Once we have established that, we can then discuss the arguments about whether the science points to God. The problem I see with some people, and I’m wondering whether it may be the case with you, is that they read the science with one eye on the conclusions they want to come to. And so they read the science in a biased way. So my comments have been directed at the science. I have not begun to discuss the possibility of God. None of the scientists I have quoted are theists and so none are apologists. They are simply some of the top cosmologists in the world. When they talk of fine-tuning, they are initially talking science. They mean that it looks like it has been selected for life because the odds of it happening by chance, they calculate, are vanishingly small. That is the science. If you accept that, then we can talk arguments. Until then, there’s no point. And scientifically, this is basically wrong. I will repeat, fine-tuning is the calculated fact that, of all the possible universes of theoretical physics, a very small number would allow intelligent life. Barnes deals with changes to the laws in his paper (you really should skim read it! ), as I have already noted. We don’t have to compare with universe generators, we can look at all the possibilities allowed by theoretical physics. Really? Honestly, if this is the best you can do, I think we should all go home. Either you accept the science or you go against it. I’m interested to see your response. Good job Howie — lots of hard work putting all this together and thinking it through. The Fine-Tuning argument never worked for me even as a Christian but I never got into all the arguments and counter arguments. It is interesting to see how much effort is put into building rational defenses of God — you’d think if he was an all-powerful, all-caring, interventional god, none of this would be needed. It would be obvious to any idiot — even me. But far from it. Theists have to do perverse mental contortions to even pretend to have the least bit of rational support. Id like to make a few general points here for anyone interested. I may have time during lunch or after work to give more clarifications or quotes if anyone wants. Consensus of scientists is an important thing that we should listen to and we have consensus (typically denoted as 95% or more) opinion polls on some important aspects of evolution and global warming but as Bradley Monton has noted: “I’ve read a lot of the literature on the fine-tuning argument, but I’ve never seen an opinion poll of experts, so it’s not clear to me what the majority do believe regarding the fine-tuning evidence. However, it is clear to me that the promulgators of the fine-tuning argument aren’t relying on such an opinion poll.” If this has changed please let me know. However, I would like to re-iterate what I stated as fact in my post above: there are several constants in the equations of physics that if modified by very small amounts would cause a universe that would be dramatically different from our own – and thus life as we know it would not exist. While there are no opinion polls I have never seen any scientist in the relevant fields question this, and I would be willing to bet a poll would agree with this. However I have seen every one of Carroll’s pionts mentioned by several scientists (even ones in Barnes’ list). Penrose brought up the “other kind of life could be possible, but we don’t know enough to say”, Davies and even Luke Barnes himself have brought up the probability distribution issue as an important one (which relates indirectly to Carroll’s point #3, but directly to Dembski, Vestrup, McGrew’s), Weinberg has expressed skepticism as well to whether the constants really are fine tuned for life in general, and other scientists not on the list have questioned this as well. I do not believe there is consensus on anything more than what I wrote in my previous paragraph. In fact William Lane Craig wrote this on his after-debate summary: “So in my second speech I simply said, “Here Dr. Carroll expresses scepticism that the fine-tuning is real. But a good many, if not most, of his colleagues would simply disagree with him here.”. Note the phrase “a good many, if not most”. UnkleE, I will start with your last comment. If you lack a sense of humour, maybe you should consider hiring one. I think all you needed to say is you are not making a theological argument, There are several people who use this argument to argue for god.An example is Platinga. You are insinuating that I have a stated bias when I start to read a science book. Be that as it may, any science book that argues for a deity, especially yours is one I wouldn’t think of science. But to make such a judgement about me, you at least at minimum must know me. Victor Stenger among others on the other hand argue that life is fine tuned for the universe. And as I said, why do you think only one form of life is possible? a very small number would allow intelligent life. Where then is your problem with my argument that other life is possible? Besides what is intelligent life? I look around me, this claim of intelligence may need defending. @Sabio: Thanks! Given that I know that you apply a high level of critical analysis (which is good) that means a lot. I like the new avatar and I went over and read the meaning on your blog. Yes, the issue you bring up is an excellent and very important overarching issue which I totally agree with. I’ve been trying to dig into the debates between physicists and mathematicians on this topic and there are many times where it goes way over my head. The argument is very clearly not an obvious one for laypeople to the subject. We should be cautious, however. Whatever the problems of defining the possible range of a given parameter, we are in a significantly more nebulous realm when we try to consider the set of all possible physical laws. It is not clear how such a fine-tuning case could be formalised, whatever its intuitive appeal. Howie, thanks for you two recent comments, but I think you are still misunderstanding the science. Barnes lists 25 eminent cosmologists and astrophysicists who accept the science of fine-tuning. Add him that makes 26. On the other side there is (so far) Carroll. You mention Weinberg, but I have a quote from him that shows that he accepts the science of fine-tuning, but sees the multiverse as a way of avoiding the God-implications, so I think he is on Barnes’ side rather than Carroll’s, unless he has changed his mind since that quote – so let’s call him neutral for now. So we so far have 26-1. So why are so many people eager to embrace Carroll against the other 26? Yes, there may be other cosmologists who think differently, just as there may be cosmologists who think the same as Barnes. The only way to know is to read and find out. I have read a bit and I haven’t found any, but instead of speculating, why not find some more if they are there? 2. Other forms of life? I think you have to appreciate that when they talk of fine-tuning for life, they are not talking about biology and ecosystems but very basic physics things like the universenot lasting long enough for life to form, or the universe being nothing more than a very thin “soup” of particles, or the universe consisting only of Hydrogen atoms – all of which would make any form of physical life impossible. Think of this. There are about 10^80 baryons in our universe (protons & neutrons are baryons). If each baryon was a universe with 10^80 baryons, we would then have 10^160 baryons in total. The chance of selecting a particular baryon at random would then be 1 in 10^160 – extremely small! Smolin has estimated (see quote above) that the probability a universe created by randomly choosing the parameters will contain stars comes to about one chance in 10^229, which is a way bigger number than 10^160. Supernova stars are necessary to form elements above beryllium, and without them there would mostly only be Hydrogen and Helium. Stars are also necessary to provide energy and planets. So without stars we don’t just have no opportunity for Carbon-based life, but we don’t have the elementary building blocks of any physical life – chemistry, energy and habitat. Only one chance in 10^229 that all of that occurred by chance! Sure we can speculate that some form of life can be formed in cold space with Hydrogen atoms, but that speculation won’t be based on much science. And we can speculate that non-physical life is possible, or perhaps some of us won’t! So despite what you say, so far the science is firmly supportive of the statement that of all the possible universe allowed by theoretical physics, only a very small subset allows life, stars, planets and complex chemistry. You seem unwilling to accept that. Others here seem to want to ignore it. But until someone finds something like 25 more eminent cosmologists disagreeing with Barnes, that is our best understanding of the science. We either choose to go with the science even if we don’t like the implications, or we don’t. I’m sorry I lacked the sense of humour you were hoping for, and I’m sorry I seem to have irritated you simply by referencing the best scientific conclusions I can find. I simply want to discuss the facts as best we can know them. I’ll try to respond quickly and not try your generosity any more. Barnes’ paper totally demolishes Stenger. People use that phrase a lot, but if you read the paper, you’ll see this time it’s no exaggeration – Barnes shows that Stenger either doesn’t have a clue about cosmology or has ignored what he knows because he is trying to prove a non-scientific point. Note that Barnes’ paper has been published in a scientific journal whereas last I check Stenger was still looking for someone to publish his paper. Please note my response to Howie above. We are talking about any form of life based on physics and chemistry. Of course there could be something else (though I can’t imagine what it would be), there could even by non-physical life, but is that what you mean? If you can suggest something that is not dependent on physics and chemistry, please do so and we can discuss. Until then we have nothing. LIke I said to Howie, we either choose to go with the science even if we don’t like the implications, or we don’t. If the science changes, then we change. But not until then. I’ll leave it at that. Thanks. @UnkleE: Dembski, Vestrup, Tim McGrew, Lydia McGrew, Don Page, and Hans Halvorson have all expressed issues about fine tuning that actually call into question some of what you are saying. They are all evangelical Christians. And I can list several other Christians that are fully on board with multiverse being an answer if the probability and “life” claims of fine-tuning are correct, so I don’t think this is really an issue of a bias against a certain worldview. I’m pretty sure you know why saying 26-1 isn’t a fair or useful statement – you’ve chided many of us for not being balanced, please join with me in trying. If you want I’ll explain, but for now I’ll assume that was tongue in cheek like you said the 4-1 thing was on Nate’s blog a while back. Let me explain some of my views a little further, although the post covered most of this: Dembski, Vestrup, Jonathan Borwein, and David H. Bailey are all mathematicians who have expressed the same criticism of not being able to determine the probability density function of all other possible universes when the only universe we have to examine empirically is our own. Dembski explains this very well in the video and it totally makes sense to me, and the McGrew/Vestrup paper explains it even better. There have been several other papers on this topic so it’s not just 1 small voice in a sea of opposition. There’s more on the probability issue. Paul Davies (who is in Luke Barnes’ list) has conceded this: “The problem is that there is no natural way to quantify the intrinsic improbability of the known ‘coincidences’ … What is needed is a sort of metatheory – a theory of theories – that supplies a well-defined probability for any given range of parameter values. No such metatheory is available, or has to my knowledge ever been proposed”. And Luke Barnes himself concedes it as an issue: “The question of the prior probability density function (PDF) for the fundamental constants of nature is a very difficult one … the best approach is to carefully separate these two questions: 1. What range of the fundamental constants is life-permitting? 2. What is the probability that a universe, chosen at random from the range of possible universes, will fall in the life-permitting range? We are on much safer ground answering the first question.” Now I have to caution you here – I am not saying that Davies and Barnes do not think there is a fine-tuning problem to be solved. What I am saying is that they have noted that there is a possible issue which Dembski explained. your #2: Other forms of life: Weinberg (also on Barnes’ list) says he is “not terribly impressed by the examples of fine-tuning of constants of nature that have been presented … Are the constants of nature remarkably well adjusted to allow for the presence of life? We don’t really know.” – from debate with Polkinghorne linked on my companion page. Perhaps he did change his mind since then. So 3 of the scientists on Barnes’ list have noted caveats to fine-tuning, and even Barnes himself has admitted to at least 2 of these issues that might call it into question. How many of the other scientists on the list would actually put similar (or other) caveats on what they have said regarding this? How many of them have detailed empirical evidence to support their assumptions of probability distribution? How many of them have empirical evidence for the claim that there cannot be other unknown constants in other universes which are not in ours? How many are consciousness experts that know how to resolve the question Penrose and Carroll both state? I really don’t see the problem with having skepticism with all these open questions and when several Christian apologists even have a problem with the argument. I’m sorry Howie, but I don’t think you’ve addressed the relevant questions. I wasn’t joking when I said 26-1. I don’t think the numbers matter – 26-4 or 28-2, it doesn’t matter to me. The point is that so far the genuine astrophysicists and cosmologists overwhelmingly support the truth of fine-tuning. If you want to challenge that statement, you need a whole swag of dissenting cosmologists, not just a couple. Note that Dembski is not a scientist but a mathematician and he doesn’t contest the science of fine-tuning, only the maths of assigning a probability (more on this later). Ditto Vestrup (if I have the one you mean). The McGrews & Halvorsen are philosophers, not cosmologists, so might have something to say about the teleological argument, but not about the science. So the only cosmologist in your first list is Page. But if you read this link, it seems that he doesn’t oppose the science of fine-tuning, only the God argument which might be developed from it. He explains this in this paper where the summary says: “The effective coupling `constants’ of physics, especially the cosmological constant, are observed to have highly biophilic values.” So he accepts the science of fine tuning (“biophilic”). The summary then says: “Here a very preliminary inconclusive hint of evidence is presented against the hypothesis of optimal fine tuning of the cosmological constant by a biophilic principle”. The argument here is that if God fine tuned the cosmological constant, it could have been optimised to produce a greater amount of solid matter necessary for life, but it is so far just a “very preliminary inconclusive hint of evidence”. So I went back and looked at the Sean Carroll references you gave. And I have only read them quickly, but I think you have misunderstood them. Of your 4 points about Carroll, #1 deals with different forms of life, which I’ll come to below, #2 and #4 deal with explanations of fine-tuning and actually assume that fine-tuning is a scientific reality. Only #3 addresses the science, and I can’t find anything in your reference that equates to your statement about probability = 1. The most Hawking says is that he “could” have a non fine tuning explanation of the initial rate of explansion of the universe. Since there are many cases of fine tuning, this is hardly telling on its own, especially as it’s only “could”. And in this reference, Carroll makes it clear that he recognises much of the science of fine tuning, but he objects to the theistic argument that flows from it. So really, none of these are cosmologists who disagree with Barnes, even Carroll. The number is now 28-0! I think you have confused the argument for God with the science. I am currently discussing the science. This is probably your main point. But note that neither I nor Barnes used probability in our statement of fine tuning, which was that of all the possible universes allowed by theoretical physics, only a very small subset allows life. This doesn’t mention probability, it just mentions a sample space and a small subset within it. Penrose and Smolin do make a probability calculation (and as Professor of Mathematics at Oxford, Penrose is surely as qualified as any to do this!) but they are not essential to the science. But granted the statement about the small subset (which Smolin estimates for stars alone to be 1 in 10^229 of the total sample space, and Penrose estimates for low entropy to be 1 in 10^10^132 of the total sample space) the probability function would have to be amazing to counter these probabilities. If the subset of universes which produced stars was a billion times more likely than the rest, you’d still only get (in rough terms) a change to 10^217 in Smolin’s estimate. (I’m not sure if the maths is correct, I’ve just subtracted indices) but it’s just illustrative of how uneven the probability function has to be to make even a small dent in the calculated probability. So you are right that everyone recognises that probability variations are impossible to know, but they are irrelevant to the fine tuning science statements Barnes and I have been making. 3. Other forms of life. As I said before, if you want to argue against Smolin’s estimates, it seems you have to postulate a form of life that is based only on H and He atoms, and doesn’t require a planet and the energy input of a star. Now you can postulate that, but can you even come up with a vague hypothesis of how complex intelligent physical beings could exist made only of those simple atoms and without the energy of stars? Or are you postulating a non-physical life? And do you really want to? If you will allow such speculations, how will you later resist the argument that God is more likely than those speculations? So I believe I have shown that you did indeed misunderstand either me or Carroll and the rest. There are some questions about some aspects of fine tuning, but we now have no cosmologists, or anyone else except Stenger, who doesn’t accept the basic scientific fine-tuning. Everyone you quoted accepted the science but was, if anything, discussing the theistic argument based on the fine tuning science. If we could now agree on that, the discussion of the philosophical argument could be based on the best science, and not on misunderstandings of it. Do you agree? @UnkleE: Eric, I was suspecting this before, but after this comment of yours I am sure of it. We are talking past each other and misunderstanding each other (both of us). Your statement in italics without probability actually matches somewhat closely with what I’ve agreed to on the post and in comments (although I believe it’s important to discuss clearly what your statement actually means because I think there may still be some caveats to offer some balance). But I definitely do not believe that probability distribution (aka prob. density or PDF) is irrelevant to the discussion. In fact Luke Barnes brings it up in his paper several times (including his critique of Stenger), as well as in his critique of Fred Adams’ work. But I think what you may be saying is that there are other important things Luke is saying – and a lot of those (perhaps not all) I may very well agree are likely consensus statements. All in all Eric, I am trying to offer some balance to some of the statements here that you made that I believe may be a little too strongly stated. You read my summary of Carroll’s points – did you by any chance notice that I offered some skepticism toward some of his statements? I am pushing for as much balance as I can here Eric. There are a few other things I want to clarify but I have to go to work. If I’ve made a mistake on Carroll’s point #3 I want to correct it. I wrote that the link was a related topic that people read more on and wasn’t saying that he said the exact same thing as Carroll, but the probability=1 statement I was pretty sure came from Carroll. I’ll look back when I get home from work, but if you or anyone else wants to watch that part of the video before that feel free. It’s important that I’ve stated that correctly. What you surely must know is the science of fine tuning is to the scientists, just that…science . They, unlike unklee , do not have an agenda outside scientific and cosmological considerations. So, even of there is a genuine consensus for the fine tuning argument the very last thing you are going to hear is them all shout: “Whoopee….goddidit,let’s go to the pub and celebrate!”, which is exactly what unklee is gleefully leading to so’s he can rub his hands together and smirk, or at least make another notch on his bedpost. De grasse -Tyson would shake his head and laugh. Unklee pointedly mentions that Barnes avoids any theological/god allusions yet you have stated he is agnostic. I would suggest if he is pushing fine tuning so forcefully he may be a little more than agnostic. Unklee is most certainly enamored with him and that is cause enough for the klaxons to sound. Irrespective of what the outcome is, you know very well the reaction you are going to eventually get from unklee, and that most likely will not be a concession to agree with the thrust of this post, but rather you have failed to understand the perspective of Barnes and all and unklee will believe he is one step closer to discovering his maker. @Ark: Actually I wrote that Luke Barnes is an agnostic “who leans toward theism”. At least this was clear 4 years ago in his interview with Muelhauser. He basically said that he thought the God hypothesis seemed like the most correct answer to the problem, although he said he didn’t know for sure. But whatever, he does actually try to put some balance to a lot of what he writes, and every one of us has some level of bias no matter what any of us say. Oh, and yeah – you’re spot on about me – I do know very well the final outcome of the conversation with UnkleE. But haven’t you figured out by now that I’m a glutton for punishment! 😉 Seriously though, even though these blog discussions do seem quite pointless (and even counter-productive sometimes) I still feel there is at least some small use to them. I know at least I’ve learned a lot. My interpretation of him was hardly even an interpretation. It looks like the sentences I wrote were almost word for word. Is there something I’m missing on this one Eric? Eric’s approach, like all religiously indoctrinated is to claim they believe based on evidence. Then what is the point of faith? And if faith is required, as per what Jesus prattled on to Thomas about in John then what is the point of evidence? Unklee is attempting to be scientifically intellectual and theological. This is like ordering the vegetarian platter and then complaining vociferously that there is no steak. The only person he is fooling is himself. @Ark: No worries at all on the Barnes thing. Your point about faith is a good one to think about and it spawned a bunch of related thoughts of mine. The “correct mix” of faith and reason is a debate within Christendom. I’ve had “discussions” with some presuppositional apologists who seem to take a bit of an extreme version of this. They like to quote Romans 1:18-22 to say that everyone actually knows that their god exists – not much of a productive conversation that one can have with people like that. But Eric seems to lie on the other extreme of this, where faith actually ends up meaning a bit of a different thing. It doesn’t mean certainty for him, evidence and reason holds a huge weight for him, and as you know he does believe the bible is errant. Of course that spawns off a whole other topic of the fact that errancy methodologies like that could potentially validate many different faiths. In fact I saw a Hindu commenting on Carroll’s blog the other day claiming that Hindu beliefs while not inerrant are much better and closer to what science has found than any other religion. Either way the main purpose of my blog is for people to discuss different perspectives so that people interested like myself and others can organize our thoughts and make sure our beliefs align better with reality. So when I told Eric I appreciated his objections because they brought balance I wasn’t being disingenuous at all. I think he has a little skepticism of me when I say that I am just trying to bring balance as well, but that’s ok, everyone can have their own opinions. This is amazing, all this effort. Ideas really get hashed out your blog and that is really awesome. One thing that always gets me about apologists who go heavy on the science to, essentially speaking, defend the Bible, is how matters would look if I decided to accept their propositions. In other words: Okay, fine-tuning actually does convince me that God exists; so now I’m supposed to believe Moses split the Red Sea? And the Resurrection? Etc. etc…. Hi Howie, you say we are talking past each other, and you seem to be getting frustrated with that. I’m sorry. It seems these sorts of discussions often end up that way. I am happy to call it a day if you wish, but I will try once more to demonstrate that we are not talking past each other, I just disagree with your emphasis. (d) some references and conclusions, including the conclusion Presumably based on the above facts) that the fine-tuning argument is unconvincing. Is that a fair summary of what you wrote? 2. In our discussion I have quite clearly and deliberately chosen not to address the theistic argument and just concentrated on the science, for it is objective and we should be able to come to clear conclusions. (a) Even if we only look at the subset of all possible universes that allow chemistry more complex than just H & He, that allow solid bodies to form and supply energy (basically Smolin’s example), that subset is still a very small part of the set of all possible universes. Unless we consider non-physical life, the science says the universe is still fine tuned. (b) The definition Barnes uses for fine tuning, and which I followed, doesn’t mention probability so all that discussion doesn’t apply to it. The fact is that some cosmologists (e.g. Smolin, Penrose) make probability estimates and others don’t. And the probabilities they estimate are so amazingly small that the probability distribution would have to be so amazingly fine-tuned itself that we have just changed which aspect is fine-tuned. (c) I readily concede that Carroll did say what you initially said. I accepted it before, then queried it again when the reference you gave didn’t support it, but the video is clear. But note what he actually claimed. He said that we can now explain the rapid expansion after the big bang without fine-tuning, and so therefore the other “fine-tunings which are there” (his words) “might go away”. That is a very weak claim! They “might go away” sounds more like hope, or even faith, than science. And if I understand him (not at all certain!) Barnes deals with that case in his paper. He argues that “When presented with a proposed fine-tuning explainer, we must ask whether the solution is more fine-tuned than the problem.” he argues that appears to be the case with inflation, which seems to be the same example Carroll is discussing (but I’m willing to be corrected). 3. So I have argued from the start that your presentation of the science has understated the support for fine-tuning in the science, and the three examples you have given don’t dent the scientific consensus as seem to have you implied – and other readers seemed to see the same implication. So it doesn’t seem to me that I have failed to engage with your arguments about the science. (I haven’t tried to discuss the theistic argument because I don’t see how we can discuss that until we are agreed on the science, and because I am happy to let you and your readers draw their own conclusions.) And while I did query what you said about Carroll, I initially accepted it and now do again. In your first response to my comments, you said: “Your comment brings some good balance to my post” That is what I have tried to do, because I believe it was not a balanced presentation of the scientific consensus. I’m sorry if that seems critical, or you feel I’ve misunderstood you, I am still happy to be corrected. Thanks. Hi LEjames, I think you’re probably referring to me, even though I haven’t done any apologetics and not really mentioned God at all. So I thought I’d try to help you out a bit here. Life is pretty complicated, and few of us think the same about everything. So we work things out one step at a time. I would say if someone accepted the science of fine-tuning, they have learnt something. If they accept the theistic argument based on fine-tuning, they have learnt something more. Learning things is generally good, so that is progress. That doesn’t mean they have solved every question they will ever face, but it’s a start. Other questions such as the ones you raise, and a zillion more, still have to be answered – questions of ethics and other scientific facts and other theistic arguments and aesthetics and life purpose and relationships and politics. And those questions have to be answered just as much by someone who rejects the theistic argument as by someone who accepts it. So you should consider the fine-tuning theistic argument on it’s merits, just as you should consider the resurrection and the parting of the Red Sea on their merits, not to mention ethics and politics, etc. And hopefully you won’t make any assumptions about how I will answer those questions. I wish you the best in answering the questions you think are important. I hope the one we have been discussing is one of them! Catch you later. LEjames: Thanks! I’m very glad you find it useful. This post took a lot of time (and the last one was a bit tough too, but not as much). I think I’m going to go back to more stream of consciousness posts for a while because it’s very hard to find the time. And you’re right, there are tons of other things to figure out even if this one is convincing. And some of those things that apologists (and I didn’t get the impression you were referencing Unklee but maybe you were) want us to accept takes several leaps because those things don’t seem to line up with the way we see the world working today. Of course one could always argue that anything is possible, but unfortunately that thought alone doesn’t get you far because then every faith claim becomes fair game. And Unklee’s related response to this was fine too – didn’t really think there was much to disagree with him there. @Unklee: Ok great Eric, this sounds like a good attempt at a re-start which is what we need. First of all it was essential that I mentioned that we were talking past each other not because of frustrations but because I don’t see how we can have a productive discussion if we don’t even understand what the other person actually believes. We both know these discussions can be quite complex so I’m not sure of the best way of making it productive – we can try different things and see what happens – maybe lets start at working at small pieces. Unfortunately I may end up looking irritatingly too precise so I apologize for that. So let’s try this first. Before you gave this link to Carroll’s write-up and said that I was saying things that opposed his position, but I had read that article before, and I’ve now gone and re-read it and I don’t disagree with it. So I’ll paste again what he wrote related to the consensus understanding: “There’s no question that the universe around us would look very different if some of these parameters were changed. The controversial claims are two: that intelligent life can only exist for a very small range of parameters, in which our universe just happens to find itself; and that the best explanation for this happy circumstance is that God arranged it that way.” In fact that first sentence was exactly how he phrased what is agreed upon in the debate. And this is pretty much what I wrote in the post. Is there something from that article that you believe I have contradicted, or was that just part of the previous misunderstanding that we have moved past? Hi Howie, thanks indeed for your response. My original aim was to point out that your post, apart from anything itself it said, seemed to indicate that the science of fine tuning was somewhat in doubt. I feel it is clear that it is not at all in doubt overall, though there are areas still under investigation. That’s really all I was pointing out. Of the two “controversial” claims, I suggested that the intelligent life was not seriously in doubt unless we speculate about life not based on physics, in which case anything goes. I still think that is correct, and Carroll is clutching at straws. I didn’t discuss the second claim, which wasn’t scientific. It was the main topic of the Carroll paper you reference and so I disagree with his assessment but didn’t discuss that disagreement. I mostly don’t go for the big arguments when I visit blogs like yours. If we grant the science of fine tuning, the theistic argument is well established and so are the responses to it. If someone wanted to know what I thought I might answer them, but I don’t see myself arguing with you about it. You have made and will make your own assessment and you’ve read better apologists than me argue the case (e.g Craig & Carroll). So I generally try to deal in matters of fact, or at least consensus among the experts, because such matters are at least possible to resolve. So here, that was all it was. I thought your post was misleading because it gave me the impression (and judging by the reaction of commenters, it gave them the impression too) that fine-tuning was scientifically doubtful, when the reality is that as a whole it seems to be quite scientifically established, and only some details are doubtful. If you agreed with that, as I thought you did in your first reply to me, I would have achieved what I set out to do. If you wanted to discuss the theistic argument, I am willing to do so, but I feel it may be best not to. But I feel it would be pointless to do so until we agreed on the science on which it is so strongly based. It is very much the way we picked teams for anything when we were all kids at school. The difference is that now, most of us have grown up and are averse to the type of cherry picking the apologist likes to indulge in. It is almost pathetic and one can only wonder at the mentality of someone that would continually attempt to convince non believers that there is a god. Rather stick to faith…it doesn’t need evidence. @Uknlee: Ok good, I understand that Eric. I agree with the science parts that Carroll explains in his article, so seems you’re ok to move on from that. So lets talk about the “changes to the laws” issue. You told Mak that Luke Barnes answered this question in his paper, so I want to make sure I’ve read the right part of the paper. I think it’s section 4.1.3. Is that correct? So instead of answering the question it actually seems to confirm what I suspected. What did I miss on this one? Certain conditions are present in which we find life. Certain conditions are present in which we find a puddle. Let’s call ‘certain conditions’ ‘fine tuning’, shall we? It really helps indicate the hidden presence of a Master Tuner for those who want to believe without compelling evidence to slip in this kind of slippery phrase for the ‘sophisticates’ to be able to draw on. What are the probabilities that certain conditions… sorry, I mean fine tuning… are present? Before I proceed to that cold calculation (and all the hard work necessary to quantify a description of them all), let me point out how many scientists agree/admit that ‘certain conditions’… oops, I mean ‘fine tuning’… must be part of this calculation! I’m going to call this agreement for the inclusion of the existing parameters ‘the science of fine tuning’. See? Even atheist scientists are on board my ‘fine tuning’ train, and now it’s time to chug along. We aren’t aware of any other life. The puddle is unaware of any other puddle. What are the probabilities from this unaware perspective that all the conditions we find present here and now are necessary for life/puddle to be just so? Howie, I would like to like Tidleb’s comment! I don’t think UnkleE answered my question on changing the laws not just the constants. Instead he keeps telling me to read Barnes which I will do when I can get some free time. @Mak: Yup, I didn’t think he answered it either. In my last comment I’ve given him the chance to resolve that. Sorry… I missed this outrageous piece of pure קעמל דרעק as it seemed to have been casually sneaked in. This, more than any other apologetic comment on this thread,clearly illustrates not only the motives behind this particular blogger but just how shallow he truly is. Hi Howie, I’m a little confused by this. So firstly let me make sure we have indeed concluded what we were previously talking about. Are you saying here that you accept that there is a lot of good scientific evidence for the scientific fact of fine tuning (i.e. the claim that of all the possible universes allowed by theoretical physics, a very small number would allow life), and even Carroll accepts most (but not all) of the examples commonly given? I want to be sure we have got to that point before we move on. Regarding Section 4.1.3 of Barnes paper, I’m not sure what you are asking. For a start, 4.1.3 is only a part of a much larger section 4.1 on this topic. I have made no statement about that section beyond the fact that Barnes addresses the matter of changing the laws (which obviously he does). Are you asking me to say what I conclude from that section? Assuming that to be the case, I think it is quite clear. Barnes includes 4.1 in his section on “4. Cases of fine tuning”, so obviously he sees this as one example of fine tuning. His main point in section 4.1 is Stenger’s claim that the laws of nature “will be the same in any universe where no special point of view is present”. He spends a lot of time (10 pages) refuting that claim. In sections 4.1.1 and 4.1.2 he discusses changes to half a dozen different aspects of the laws of physics, and shows that they could indeed be very different from what they are. He then gives another half a dozen examples of how the alternative laws don’t allow life. Then he gives the qualification that you quote, saying that it is difficult to “formalise” such a case. Well, you didn’t mention about a dozen pages of examples of the laws being fine tuned, including six examples of totally different laws that wouldn’t work at all, and you mention only the qualifier. That sounds awfully unrepresentative of Barnes’ discussion to me, even more unrepresentative than your original post. I don’t wish to be rude, but that is the only answer I can give to your question. So he gives as good an answer as he can to a highly speculative question, saying that every example he can find reinforces fine tuning, but the more speculative aspects can’t be defined so well. I don’t see how anything fundamental has changed in this discussion. The science points to fine tuning in many different places. Caroll somehow hopes the science “might” change. Barnes sums it all up and shows that we need wild speculation to make an anti-fine tuning case. I can’t see what else to say. @UnkleE: Hey Eric – again I agree with Carroll’s statement that I quoted of what is agreed upon regarding fine-tuning. That is different from your statement. I also agree with everything he says in his paper you linked to which lines up with the statement that I quoted. But back to the important question I’d like answered. I think you may not quite be understanding the full impact of the question. It’s an essential question and I mentioned Barnes’ list and it’s there for everyone to read so no need to paste that all here. Again Barnes’ list tells me that he doesn’t question the fact that the laws themselves could actually be dramatically changed (not just the constants), and what I quoted confirms my objection. He says there are many examples. He says fine-tuning of all possible laws has “intuitive appeal” but it isn’t clear how it could be formalised. So we have speculation that there might be laws that could be different and permit life without being fine tuned, yet we don’t yet have any example of such. The only examples we have before us do not permit life. So unless we have an example, all we have (again) is speculation and “might”. If you want me to say that there is not certainty about this, then of course I would agree – I have never claimed certainty. All I have claimed is that the majority of cosmologists conclude that fine-tuning is real, and the set of life permitting universe is a very small subset of all possible universe allowed by theoretical physics. That statement remains true so far, and we don’t have any calculation that shows otherwise, all we have is speculation that there might be some cases that no-one in this discussion has found yet. Is that what you are basing all this on? @UnkleE: Let me try a little better at explaining Eric. What I see is that the whole thing is speculation. We have no empirical evidence of any other universes. It’s all speculation so it’s all on equal footing. Here’s the thing: you say “allowed by theoretical physics”. Theoretical physics is a set of laws that physicists have formed based on observations and experimentation. So what’s allowed by that, is what is allowed by those laws. But the fine-tuning idea takes this out into the land of speculation: in other words it asks the question “what would things be like if these laws were different: what if the parameters of these equations were different”. But the question is bigger than that though, because we are talking now about other possible worlds. So then the question becomes “what would be if the equations themselves were different”. So to answer this objection Barnes then lists examples of how life would be prevented if the equations themselves were different. He did not say “only the constants can be changed”. So he agrees this is a valid question and then gives examples of it – ones that bolster the claim of life being non-existent. But what is being missed is that if the equations could be changed we’ve got an infinite set of possibilities – and then we cannot make any claims about which of those could be life permitting. The McGrew/Vestrup quote explains this clearly. So for example, the cosmological constant seems to be the most common example given of fine-tuning. So if that constant varies a small amount we’d get some dramatically different effects as far as the expansion or contraction rate of the universe. But what if all the other constants varied, or if there were even constants or forces in the equations in those other possible universes. What those universes would look like would be anybody’s guess – hence the cautionary statement that I quoted from Barnes. So the point is that fine-tuning is speculating about other possible universes, and it considers that the laws of our universe are different in others (as far as the constants go). What I am saying is that if we are speculating we need to consider the whole possible realm – any different equations and other possible forces as well. It’s a wide open field that we can’t make any claims about. I think we are back to square one, and I’m not sure I want to go around the block again. Most of this is not speculation as I understand it. The equations and constants of theoretical physics are known and can be used to demonstrate what are the life permitting ranges in the whole sample space. Barnes shows graphs of many of these. If you agree with Carroll’s paper and the 25 cosmologists that Barnes references, then you agree with this. So that is the state of play, The best knowledge we have says our universe is fine tuned. The only examples of other laws before us confirm this. You want to speculate that out beyond our horizon of knowledge things change. Maybe they do, but it seems to be to be a hope born of wish fulfilment more than fact. I’m not going to argue about it – unless we have some examples before us that show this to be something more than a wish, I can’t see any point. My final point: I haven’t discussed theistic arguments, but if we did, I would expect you would be very critical of any God argument that required as much speculation and hoped for outcomes as this one does. That is surely food for thought. @UnkleE: Hi Eric. I’m going to reply to your content after work, but for now I want to reply to your style. I’ve gotten used to your style over the past year and a half or so and I’m not going to critique it here. I’ve done that in the past and you know my thoughts. I want to say that I have empathy for how difficult it is to go out onto a blog that has a lot of commenters that do not agree with you. That is a very hard thing to do and I try to keep that in mind, and that makes it easier for me to understand the style and look more at the content. I’m glad we’ve had this discussion. I want to also make a general statement to all commenters. As you can tell from my own style, I like to keep things on my blog as friendly as possible and focus more on trying to hash out the facts, details and opinions about those facts. Strong wording about the facts is certainly acceptable, but the suggestion is just to use your best judgment on how to be friendly. I’m not planning on having some detailed “rules” page because frankly if people want to be unfriendly they always know how to dance on the edge of those rules to make it like they are being friendly when they really are not. And also, my plan is to maintain a laissez faire kind of style on comments, so I don’t plan on directly rebuking comments even if I have a feeling they are unfriendly, unless things obviously start going off the deep end between people. I want to be able to capture as many perspectives about the facts as I can so I want to allow all contributors who feel they have input to the subjects. Tough to maintain a balance I know, but just wanted to get that out there. I have to say that the answers you have been giving me have actually been convincing me more that this argument is a no-go. I still offer some balance to that however, because I realize that you and I are both laypeople so I don’t want to claim tremendous certainty, but I will say my skepticism definitely does remain high regarding this topic along the spectrum of certainty levels I have about all topics in life. And Luke Barnes is more of an expert than you and I, and it seems like his statements confirm my suspicions regarding this argument as well. It has nothing to do with hope. There is a fine-tuning argument that has been presented by apologists that claims that we can come to a strong conclusion that the universe is designed. What I am trying to do is figure out how I can adopt that argument and how I can be convinced by it. In order to do that I need to try and research and see if there are any objections and if the answers to those objections are convincing. I suggest that all who value critical thinking should go through the same kind of processes in their thinking. Of the answers you’ve given me I’ve moved a little more toward feeling the objections are valid. I’ll repeat – we have no empirical evidence of other universes, so we can only speculate about what they look like if the laws of physics were different. What we have are the equations of our universe and we are speculating about what other universes might look like. The objection was stated about what if the equations themselves vary (not just the constants) – and I haven’t seen anyone say that only the constants can vary – quite the contrary as you showed by your list of possible changed laws which Luke presented. So what this means is that we have to be able to consider ALL possible universes with ANY kinds of equations they might be able to have. This has to be done in order to make this argument convincing. But the space of possible universes given different equations is completely wide open. So this has nothing to do with hope. This has to do with the fact that if I wanted to be able to convince someone that life can only be permitted in a small set of possible universes I would have to cover the entire space of possible universes and know whether or not they permit life. As you have admitted this cannot be done because there is much speculation involved in this infinite space of possible universes. Without being able to do that it seems like those who push this argument may very well be the ones relying on hope. I’ll give the cosmological example again: change the constant and things change dramatically, and many claim life cannot exist (Carroll uses the word presumably in his paper, but we’re not arguing that point right now). Ok, so we are speculating about possible universes with varying laws, so what about a universe that the cosmo constant is different but there is one other extra force that we don’t have in our universe that cancels out these effects? Now what if there are 2 more forces? What if there are 3 more forces?…. We have no clue about any of those kinds of universes so how in the world can we do what needs to be done to make this argument fly – that is how can we map the entire space of possible universes and prove that a very small subset of them allow life? We cannot do that, so I don’t see how the argument can fly. Just saying “wow look I change some of these parameters by a small amount and life likely doesn’t exist, and if I modify some of the laws life likely doesn’t exist” is such an unconvincing argument once it is put into the light of the fact that we have absolutely no clue about life-permitting qualities of an infinite amount of OTHER possible universes. All I can tell you Eric is that I wouldn’t know how to pull that argument off with a straight face. It’s been a good discussion though and I thank you for giving your input. It sounds like this discussion is winding down, and I’m not trying to stir it back up. I just wanted to offer my thoughts after reading through everything (whew!). Excellent job on this post, btw, Howie. If a child sees his first clown, and it’s the only one he’s ever seen, he might go through a thought experiment about the existence of other clowns. He could list out all the things that make a clown: red rubber nose, over-sized shoes, bright red hair, squirting flower on the lapel, and the ability to create balloon animals. To the child, changing any of those parameters could lead to a being that is NOT a clown, even down to hair color. Of course, for those of us who have observed more than one clown, we know that there are an incredible combination of features that result in a clown. In his naivete, the child might even ascribe features that have nothing to do with the clown’s “clown-ness,” like the clown’s height and weight, or even the fact that he is bound by the laws of gravity. To the child, changing the clown’s hair color could mean that the clown is no longer bound by gravity (since it’s not really a clown, according to his definition). That’s an absurd example, of course, but maybe it’s at least partially relevant. As Howie said, if the cosmological constant in another kind of universe is different from the one we have, that might not have any bearing on whether or not life exists, since there could be other forces that make up for it. Or if gravity was repulsive instead of attractive, as Barnes speculated, that might be meaningless if there are other attractive forces that cancel it out. We simply don’t know enough about the actual possibilities to make any meaningful predictions about how things could be. Like the child thinking about clowns, we only have one universe to consider. Maybe gravity can’t have any other value than the one it has. Maybe the mass of a proton is always the same in every possible universe. That’s why probability is so crucial to this discussion, as Dembski explained. But since we have no other universes with which to compare ourselves, there’s no way to establish an actual probability. Let’s not kid ourselves: the whole reason we’re discussing this is for its theological implications. But with no real probability, this becomes more of a “fine-tuning discussion” or “fine-tuning question” rather than a “fine-tuning argument.” It’s interesting to think about, but it doesn’t seem to carry much weight in actually pointing to any kind of conclusion. I’m sure many would disagree with me, but this is how I see it. It seems to me that it all boils down to this: the universe appears to be fine-tuned for life, in that life exists and we can imagine instances in which it wouldn’t. But that doesn’t at all mean that the universe is actually fine-tuned for life. And all the cosmologists who deal with this subject admit that they’re dealing with unknowns, so why be dogmatic about it either way? It needs to be pointed out – often; just in case those that think the atheist might have missed something. We just nodded off for forty winks that’s all so as to let let the proponents of goddidit prattle on. It’s something to keep them busy. @Nate: Thanks for the compliment and input Nate. I also thought Dembski did a pretty good job of explaining the issue with probabilities, and like you said several scientists have conceded this as an issue. Thanks for that reply. I still feel you are downplaying the large consensus of cosmologists on what they can say in favour of speculation and argument about unimportant details – without so far offering even one example of a real counter case. But I don’t want to go over old ground so I won’t say any more. I guess I too have learnt something from the discussion, which I’ll probably use in a blog post of my own some time. I also don’t enjoy being continually critical about another person’s thoughts, so I am drawing back from commenting on blogs like this one. So thanks again for the opportunity to express my views and for your courtesy. Where has Nate been all this while? …… without so far offering even one example of a real counter case. So Stephen Weinberg, a Nobel prize winning physicist doesn’t count then unklee? Actually, I just haven’t had much time to keep up with the blog scene lately. Trying to remedy that, though! I still feel you are downplaying the large consensus of cosmologists on what they can say in favour of speculation and argument about unimportant details – without so far offering even one example of a real counter case. Again, I stated what the consensus of cosmologists seem to agree on and it is as Carroll stated it – I’ve seen that definition of the facts of fine tuning stated even on some theist websites. The things beyond that are debated. And I even admitted to some skepticism of some of Carroll’s statements but I still think they are worth further investigation. I’ve also given tons of links to supporting arguments on my companion page. 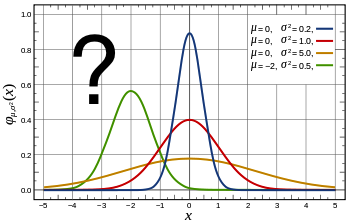 As far as downplaying goes, saying that probability distributions are irrelevant is a perfect example of that. They are very relevant to this, otherwise we cannot make probability claims that count. And saying it is unimportant that we can know very little about so many universes in the huge space of possible universes is a big stretch. Your request for counter examples shows that you have misunderstood the main point. There is so much speculation involved in the entire argument that we are unable to make any assessment of whether or not the probability is high or low across the whole possible space. I’ve already quoted Penrose (again on Luke’s list) of him saying very similar things. If, at a critical point, the argument turns on a subjectively variable sense of which assessments of probabilities are reasonable, a sense that cannot be adjudicated in terms of any more fundamental criteria, then the FTA is effectively forceless. To retreat to the point where the argument rests on unargued intuitions is to deprive it of anything more than devotional significance. You should tell them as well as Dembski (apologist) that they are favoring unimportant details. Thanks Ratamacue! When I search for pictures for my blog some of them take me a long time to find, but that one was quick because it stood out right away. Hi Howie, I had decided not to return to this matter, but I have a good reason to now. I am not wanting to engage in further discussion of where we disagree, but there is one factual matter that I felt we should try to resolve together. “the expansion rate was thought to be tuned to 1 part in 10^60”. You then link to another paper which explains this further, which discusses an apparent claim by Hawking of fine tuning of expansion rate to “one part in a hundred thousand million million”, which comes to 10^17 – which of course is very different to 10^60. So I looked further at my notes on Rees “Just Six Numbers” and Susskind’s “The Cosmic Landscape”, but I found no numbers to compare, but it did show that expansion depends on the balance between gravity and expansion energy, and gravity depends on the mass or density of the universe. I have also checked a number of websites, and they confirm Barnes’ statement that it is density or mass that is apparently fine tuned to 1 in 10^60. So there seems to be some inconsistency. I raise this not to prove any point (for it doesn’t change any of the things we disagree about) but purely to try to get the facts right – which I’m sure you want to do as much as I do. Is the Carroll expansion rate number correct or the Hawking one? Is Carroll talking about the same things as Barnes? Are expansion rate and density fine tuned to the same degree because they are related? So have you any light to shed on this? You have obviously listened to more of the debate than I did, did Carroll correct himself later? Hi Eric (Unklee) – I’m glad you came back, because I felt maybe our last discussion didn’t end on a good note and I wasn’t sure how you had felt about it. After our last discussion I’ve kind of come to the conclusion that all the talk of the numbers ends up being confusing, because it goes under the assumption that all possible universes must observe the laws that we have found to work within our own observable universe – except for the “constants”. In other words, without a meta-theory of possible universes I don’t think that resolving these details ends up helping me conclude about whether or not a designer exists. I also got from our last discussion that you just weren’t buying this conclusion of mine – and I’m ok if this just doesn’t work for you. Hi Howie, it’s not that it doesn’t work for me, it’s that Barnes and others have answered that objection. But I don’t want to re-open that. I was just trying to understand why Carroll seems out of sync with Hawking, Barnes and even himself on those facts, and I thought you may have looked at it more. If not, then I may have to leave it unresolved, but I do like to try to get the facts right where I can. Yes, I know Barnes has answered that objection and his answer makes sense to you. I’ve already written about Barnes’ response and how his cautionary statement doesn’t help me conclude what you do. You say you don’t want to re-open it but you do re-open it when you write what you do. In normal social interactions, if someone doesn’t want to re-open something then typically the best route is to not mention it. Would you like to discuss it or not? Or maybe you would rather discuss what you kind of brought up before and what you recently wrote on your blog, and that is biases and whether or not we have preferences for whether or not a designer exists, and whether or not that is what is at the core of my and other peoples’ conclusions. I don’t remember if I told you but I’d actually prefer if an entirely good creator who cares about all of it’s creation existed. That would actually be comforting. I think with this particular topic what scientists are doing is they are delving into ideas that end up overlapping quite a bit with philosophy, particularly the field of epistemology. This is why philosophers do have something that they can add to the discussion. Even Paul Davie’s books and writings related to this topic concedes the point that these kind of topics do overlap with philosophy. Does that make it solid – no way – in fact in my post about philosophical arguments I talked about how philosophical topics are very elusive (again my blog name). But that’s kind of the point I’m making – I don’t see how this argument can get me to conclude one way or the other about the existence of a designer. So the funny thing is that I’m not even saying that this argument disproves what you believe. All I’m saying is that it is not convincing to me. Some Christians have noted strong philosophical objections toward using this topic to prove the existence of God. Do you look down on them as well or see them as biased also? Or just uninformed? My guess is that they are actually more informed on the topic than I am, and probably more than you are. By the way I really like Paul Davie’s stuff in general – he’s not quite an atheist by normal definitions – he’s an interesting open minded thinker – kind of like a “possibilian” maybe. Hi Howie, no I meant what I said. I did not want to open up the discussion again, I believe we have exhausted it for the moment. In my recent return comment, I wrote that I was simply wanting to discuss a factual matter that didn’t affect our discussion, that of the differences between the variables and the values, and that is precisely what I meant. I am struggling through the information trying to understand if Carroll disagrees with Hawking on scientific matters, or with Barnes, or if they are all saying the same thing on the science but we just don’t understand it well enough. I am slowly getting a handle on it, but I wondered if you had anything more to add. I only commented on the matters on which we disagreed because you raised the subject, but I said only one sentence and said again I didn’t intend to discuss it. I’m sorry if you misunderstood that. I’m really unsure what is worrying you here. I have never accused you of being impolite or of not being respectful. A couple of times I have thought you seemed aggravated but I didn’t think badly of you over that, and I just accepted it as part of these sorts of discussions. I even thanked you several times for your courtesy. I think your wish to be respectful is admirable. I’m assuming you have a problem with me – apparently (from what you say here) you think that I haven’t been respectful. I share your views about respect, and I feel I have been just as polite and respectful to you, and I have apologised if I didn’t come across that way. So it is unclear what more I could do to reach the sate of mutual respect that you ask for. But if you wish to tell me, please do and I will do my best to finish in the best way possible. The fact is, we disagree about some of what the science says, or doesn’t say, we disagree about how much importance we should place on those differences, and we disagree on whether cosmology points in any significant way to the existence of God. I have no problems with any of that, I accept the differences. I have tried to stick to the science because if we can’t agree there, there is little point discussing the philosophy or the God conclusions – that is why I have not said much about God in this discussion, and still won’t now. So I’m sorry but I can’t see any reason why you’d think this. I have been respectful all along and so have you, and we have finished the discussion. But please let me know if there is anything else you are concerned about. Thanks. Ok, maybe it was just very late then. I think it has to do with the suggestions you make about the biases. You were very clear with Mak that you thought that biases were at the core of his conclusions, and with me you had asked suggestive questions in the beginning of our talk on this post which looked like you were suggesting what you said directly to Mak. I am very well aware of my own biases and even wrote a full post not only admitting it but also saying things that even confused some atheists who read my blog. But the weird thing is that some of the biases even push me toward wanting to say I believe in an all good God. I’ve expressed many times on the internet (probably not to you) how I love going to Unitarian Universalist services. They are inviting of all types of seekers and a lot (not all) of the people there believe in some kind of higher personal being or force. A very tolerant one at that, but something most people would label as God. Most of them believe there are many different pathways to God and some of them even say that my own path of agnostic/atheist (or whatever label you want to put on me) is also strangely enough a path to that God. While I’ve expressed my doubts about this kind of thing the fact is that it would be a wonderfully comforting thing to believe in something like that. So in that sense I actually have some biases that would push me toward that. On the flip side I’ve also admitted that I have biases against certain versions of a God which even you don’t believe in (e.g. one who allows people to be tormented eternally), although I could argue logic about that one I’m not going to because my point here is just to express that I am aware of my biases. And then of course there’s confirmation bias that everyone has. As far as the original post goes I thought I was generous at the end of it by saying that I would never say people should give up trying if they think the argument can fly. So let me suggest some things that could actually help you. I think it would be good if we knew what the response to all the objections of the argument are from all the scientists. Davies seems to have responded to some of them, and Penrose to 1 of them but I haven’t found what all the others say to them. I think also trying to convince the Christian dissenters that they are wrong about their objections to the argument would also help. Also getting the scientists, mathematicians and philosophers talking to each other would help as well. And while I don’t think any polling is going to happen that could help some as well, but the problems with that are clear – in other words can we get from polling exactly what it is that the scientists actually believe – if they only believe the statement that Carroll says is the consensus statement then that doesn’t say much. And unfortunately even after the science there are still the deeper philosophical questions about whether the correct solution to the issue are things that are mechanistic, things that are thinking/creative, or that the laws and constants themselves exist necessarily. But at least resolving some of the issues would put the argument on some better ground. OK Howie, thanks for that explanation. I have tried to present the science alone. When I repeatedly find people unwilling to accept what the majority of the cosmologists agree on, I wonder what is going on. Yes, I wondered whether you and Makagutu were allowing reasons other than the facts to determine your conclusions, and I made a couple of suggestions that we needed to stay with the science. I think the things said to me were far stronger, and my response was very mild. I’m sorry if I offended you. So I’m sorry I returned to ask you about the facts as I did, I do not wish to get into this sort of discussion, I was just hoping we could help each other understand the science better. I think it is best that this is my last comment, I don’t wish to inflame the situation. If you think more needs to be said, perhaps you could send me an email please. Thanks again for the opportunity to discuss here. I’m trying to figure myself whether or not being out here is really worth it to me. I don’t enjoy getting into debates because my preference is to both learn and help others, and if I said things that were too tough to you I really am sorry as well because that was one thing I was hoping to avoid when I began my blog. I do want people to challenge me so that’s why I keep forging ahead as best as I can with this stuff and explaining my own thoughts the best I can, and I’m a realist so I know that I have to deal with the debating stuff because that’s just what life is all about. You know from our previous discussions that I note a higher level of uncertainty in my own beliefs than you even note in your own. I don’t see that as a bad thing either way, it’s just a personal confidence statement. Perhaps I need to believe in myself more, but after being 100% certain of my Christian beliefs when I converted 24 years ago, that’s hard for me now. You’d think I’d get more confident with age, but it seems to go the other way. Actually I told you several posts ago that I would explain my reasons for my uncertainties (I’ve already pretty much told you most of that), and I will write that in 2 posts from now – I’ll tell you honestly though that it is not the fine tuning or cosmological arguments. I know our discussions tend to have some level of aggravation or tension to them sometimes, but actually you’ve been very good about trying your best to be polite – thank you for that, and I’m glad you think I’ve returned that. I have tried to stick to the science because if we can’t agree there, there is little point discussing the philosophy or the God conclusions – that is why I have not said much about God in this discussion, and still won’t now. Absolute balderdash! You are a sanctimonious christian apologist who always has an agenda whenever you enter a discussion and this ‘return’ is no different. Your comments are loaded, you cherry pick your ‘experts’, constantly throw consensus on to the table but dismiss consensus when it doesn’t suit your pat arguments. You might think of yourself as inoffensive and respectful but this is so far removed from what the reality is and there are numerous bloggers who will attest to your condescending blogging style, even in the face of evidence. You should consider yourself fortunate Howie even entertains your saccharin coated platitudes and it really is about time you started to behave in an honest manner rather than the disingenuous fashion you have a reputation for. Wow Ark – that’s kind of over the top for me. While what you wrote in a sense affirms that I’m not being overly sensitive, I wanted to try and leave this all on a positive note with Eric. I don’t want to argue with you on it, but just wanted to put my 2 cents in on what you wrote here. He truly is not honest in his approach and if I thought for one moment has was I wouldn’t even bother with him. He has a history of treating people with the utmost disdain: Ken, John, Nate, Nan, me ( no biggy) you and others. He ought to have the decency to begin by demonstrating how Jesus of Nazareth is the creator he worships. That would be honest and worthy of a little more respect. But he has never been prepared to tackle this issue, rather coming through the ”back door” and attempting to rubbish arguments from the rear. Please, feel free to delete if it is too much. No problem. I don’t want to get in the habit of deleting unless people start requesting it because they feel threatened or if it’s clear spam to sell totally unrelated stuff. Just wanted to put in my 2 cents on it. I know others have had the same feelings I’ve had about Eric but again I don’t want to launch into character assaults. Your call. ‘Tis your blog. I will make a stronger effort to reign back any character assaults in future. It is an obvious failing on my part resorting to allusions of his shallow nature. Hey Ryan – yes he is which I appreciate. I’ve grown a bit tired of all the mind reading that goes on in the blogosphere though. My days in this virtual land are numbered. I don’t have the amount of patience that some seem to think I do. Well I wouldn’t want to see you go 🙂 I finds your blog thought provoking. Even though we may not agree on some things, I appreciate your research and thoughts. My days in this virtual land are numbered. I don’t have the amount of patience that some seem to think I do. I agree with Nate and Ryan! Thanks guys! Not shutting down shop just yet. I’ve just gotten a bit more frustrated than usual in the past couple of weeks and it’s not so much due to this fine tuning post of mine. Howie, Unklee has done a couple of posts on this theme ( as I;m sure youy are aware) and one of his commenters raised the Templeton Foundation. Turns out that Luke Barnes has revived funding from them. To what extent and for what I do not know, but as you had mentioned Barnes’ theist leanings, seeing his name among a list of Templeton grant recipients and unklee’s usual acerbic response when this was pointed out it raised an eyebrow and casts further aspersions on the fine tuning debate. Hey Ark – yeah, that’s at least good information to keep in mind. Is there a link on Templeton’s website or somewhere else showing Barnes is a recipient? I’m not that clear on Templeton – I mean I know they offer grants to research “spiritual” related topics which on a simplistic level I am very much for (I have a link to them on my website). I think if they want to donate private money for research on these topics I think that’s great as long as the same strict measures of scientific analysis are applied as in other fields, but I can also see the flip side that there might be some desire to see the God hypothesis confirmed. Actually though, there is some evidence that there may not be that bad of a bias – the biggest and most comprehensive study on healing was funded by them and that one actually showed that whatever prayers were being done did not show more than a placebo effect. Sadly, I cannot provide a link to verify details, but the claim that Barnes receives/received grant money was not disputed by unklee and I am sure he would have done so had this not been true. I stand under correction of course. There is plenty of info on the Templeton Foundation and opinions vary, but they all allude to a religious involvement however tacit that may be. The whiff of controversy in this regard is enough to cast aspersions on their impartiality. Barnes’ involvement, and the ambiguous manner in not coming out and stating what he does think is the cause that lies behind fine-tuning is enough, for me at least, to consider his science to be a little bit suspect. Seeing as most people are largely ignorant in this field I believe it is incumbent on those scientists who are involved in this research to come clean with regard any religious/theist leanings. This has been my beef with unklee all along on this topic. Here’s the post. The commenter/guy’s name is Gordon Hide. You can read unklee’s typical response when the Templeton Foundation is raised. Today, when it comes to the attempt to explain reality in full scale, we have two fields of incompleteness. One is called Religion, and the other is called Science. People tend to choose to stick to just one of these two fields of incompleteness, thus a never ending battle goes on between the two. In the field of Religion, it is said that there is both an inside, and an outside, to reality. The inside is your life in the here and now. The outside is known as the afterlife, or spirit world. However, in the field of Science, it is said that there is only one side. In turn, today’s physicists leave the idea of there being an outside, in the hands of the religious folk and their spirit world. As a consequence of this ongoing dismissal of the outside, for a hundred years now, physicists have been mystified by the bizarre events that occur in the world of quantum mechanics. Meanwhile, we move across an existing dimension known as the dimension of time, yet to do so we must always be confined to the present time or real-time. Thus concerning the structure of reality, the inside is the side that is limited to real-time, and the outside is all time other than real-time. But today’s physicists still ignore the outsides presence, thus when they examine events, they only look at them in a 3 dimensional real-time manner, rather than in a 4 dimensional manner. Thus in turn they still attempt to give 3 dimensional explanations of 4 dimensional events. Thus for 100 years, they still come to a dead end whenever attempting to explain the bizarre events that occur in the world of quantum mechanics. All this goes on due to the ongoing separation between religion and science. Hey Sean – quantum mechanics is a bit of a mystery from what I’ve read. Sean says Today, when it comes to the attempt to explain reality in full scale, we have two fields of incompleteness. One is called Religion, and the other is called Science. People tend to choose to stick to just one of these two fields of incompleteness, thus a never ending battle goes on between the two. People choosing is not the reason for any philosophical ‘separation’ (many religious people are fine scientists because they put aside religion in their work); the separation between the two as ‘ways of knowing’ is due entirely to an incompatibility of method (which is why the religious scientists don’t try to combine the two). The incompatibility of method means there is no equivalency of product… namely knowledge. Science regularly produces it. Religious belief doesn’t. It’s not that hard to grasp. All you are doing is covering up this absence of knowledge by religiously-informed faith-based claims about the supernatural by substituting quantum mechanics to obfuscate this lack with the weirdness and counter-intuitiveness. This tedious tactic makes you sound like Deepak (with all those lovely sounding deepakities)… another person who has no clue what actual role quantum physics plays in furthering our understanding (and gaining knowledge about) with knowledge of how very large and/or very small quanta behave. It has nothing whatsoever to do with the ‘outside’ (a substitute word for the supposed ‘supernatural’) of knowledge-empty religious claims and everything to do with blowing nebulous and ineffable smokescreens to make religious belief seem deep. It’s not. That why you have to create deepakities to make this knowledge-void method seem mysterious and profound. There are several things that I choose to stay away from. Beliefs, disbeliefs, the supernatural, faith, etc., are all on that list. I find it shocking that people, in this day and age, still quickly accept and stick to mere beliefs and disbeliefs. Once done, they then proceed to draw conclusions, and/or, base decisions, upon these beliefs and disbeliefs. However, if you are in direct contact with truth, then you need not be dependent upon a belief nor a disbelief. Only if you are located at a distance from the truth, and thus are located within the zone of less than truth, does one become dependent upon such beliefs and disbeliefs. These people, whom are happy with and stick to their beliefs and disbeliefs, are therefore happy with less than truth. They in turn place the value of less than truth above the value of truth itself. This is an insane act. Moving on… The dimension that I spoke of, known as the dimension of time, is simply a dimension, and thus has nothing to do with the so called ‘supernatural’ ( meaning beyond scientific understanding or the laws of nature. ). Concerning the methods of science and religion, yes, these methods of today are different. But they should not be. If both followed the path of truth, then both would end up with the same results. Thus if one searches for the grand truth, yet at the same time excludes the path of truth, all to ensure the existence of a specific unique method, then the method becomes useless. Overall, seeing the truth is of very little interest at this time to people in general. As an example, to the human eye it seems as though a car can stop being in motion, then be in motion, and then stop again. But, if your mind’s I is more intelligent than a mere eyeball, then you quickly notice that this is absolutely impossible. It soon becomes obvious to you that all objects, including the car, are constantly in motion within the 4 dimensional environment known as Space-Time. Further baby step analysis of this phenomena soon leads you to having a full understanding of Albert Einstein’s theory of Special Relativity and all of its equations. No education concerning Special Relativity is required to complete this task, as is demonstrated in videos 1 -> 9 to at http://goo.gl/fz4R0I .